Want to have a sparkling clean home but hate the harsh chemicals involved? Sure conventional cleansers may help maintain a clean home and kill bacteria, however, sometimes they do more harm than good. Often these commercial cleansers are loaded with toxic chemicals that breathing in regularly can cause significant damage. Free radicals and environmental hazards are a major concern, and unfortunately, these toxic homemade cleansers are not helping. 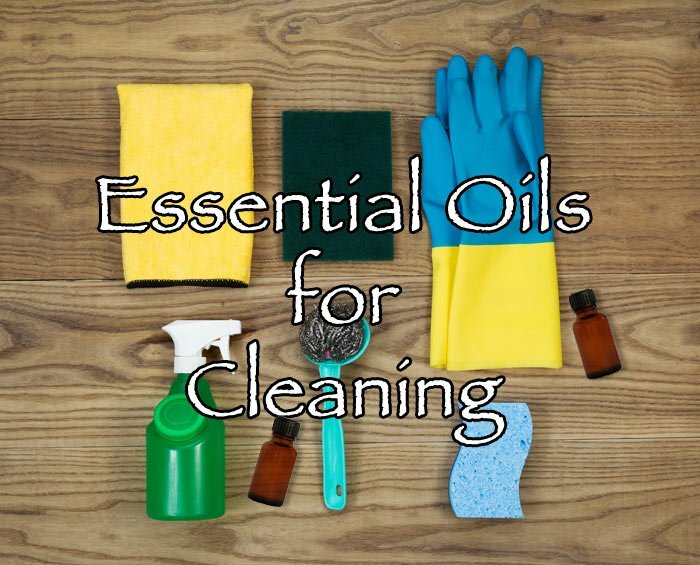 Fortunately, you do not have to choose between your health and a clean home: there is a safe and healthy alternative by making your own cleansers with essential oils. There are antifungal, antibacterial, and antiseptic essential oils that will not only sanitize your home, but are 100% safe. 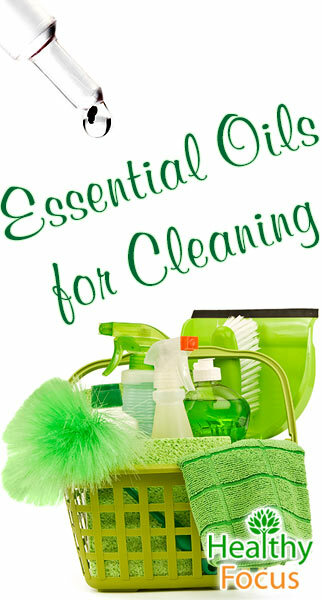 Essential oils are perfect for DIY green cleaning. Essential oils are as green as it gets—they are made of the earth. 100% natural, they are extracted from flowers, trees, shrubs, grasses, and herbs through steam distillation. Studies have found that certain essential oils contain antibacterial, antiviral, and antifungal properties. Unlike chemical-based manufactured cleansers, essential oils do not harm the environment with use or accumulate in our bodies. Essential oils, although natural, are powerful and should be used with caution. Many essential oils are concentrated and should be diluted with a carrier oil before being exposed to skin or inhaled. Essential oils should be kept out of reach of children and pets. When storing your essential oils after cleaning, make sure to keep them in a cool dry place, as some of them are photosensitive and heat-sensitive. Below is a list of essential oils you can use to create your own cleanser or laundry detergent. Many of them work great blended together or on their own. This lovely essential oil will not only help sanitize your home, but its scent will also create a tranquil atmosphere. Lavender is a popular scent used in commercial cleansers and aromatherapy. This antiseptic and antimicrobial essential oil works well on it own or blended with other essential oils, especially other floral scents and citrus oils. By keeping lavender essential oil in your home, you will also have a mini-first aid kit as lavender essential oil helps treat minor burns, bug bites and stings, as well as reducing pain and anxiety. You are familiar with those commercial cleansers on the market manufactured to smell like pine. By using pine essential oil, you can actually clean your house with the real thing. Pine essential oil is an antimicrobial, antifungal, antiviral, antibacterial, and antiseptic essential oil that will clean your home while filling it with a warm, woodsy scent. This essential oil is a natural deodorizer and works well on its own or blends well with lavender, eucalyptus, and lemon essential oils. Eucalyptus essential oil has been used for centuries in medicine due to its antiviral and antibacterial properties. Using eucalyptus essential oil in a homemade cleanser is especially useful during times of illness, as it effectively disinfects the home or works great in a diffuser to kill germs in the air. Eucalyptus essential oil also contains antifungal and antiseptic properties making it a powerful cleanser. The woody scent of eucalyptus works great on its own or blended with rosemary, tea tree oil, pine, lemon, and lavender essential oils. If you like the fresh smell of the outdoors but do not care for the woodsy smell of some essential oils, lemongrass is a nice choice. This deodorizing essential oil contains the fresh scent of lemon mixed with the subtle fragrance of grass and hay. This powerful antiseptic essential oil should be used in small doses and blended with another essential oil. Lemongrass blends well with other citrus and floral essential oils. Lemongrass essential oils blends especially well with rosemary essential oil. As an added bonus, lemongrass oil makes a great natural insect repellant. Rosemary essential oil is an antiseptic oil, making it a wonderful addition to a homemade cleanser. This herby smelling oil will sanitize your home while giving it a unique, pleasant scent. Blend rosemary essential oil with pine and lavender essential oils to maximize it potential cleaning ability. Just like pine, the scent of lemon is associated with a clean and sanitary home. Artificial lemon scent is often used in commercial cleansers and countertop bleach. Although it is just the chemical-based scent used in these products, lemon essential oil is actually a powerful cleaner. Lemon essential oil is loaded with antibacterial, antimicrobial, and antifungal properties, making it a great addition to homemade cleansers. Citrus essential oils are effective at cutting grease and are therefore a great cleaner to keep around the kitchen. Lemon essential oil is a versatile oil that blends well with most other essential oils, especially those of the floral and citrus variety. Cinnamon essential oil is a great to have around the house as its disinfecting abilities kill germs on tabletops and floating in the air. Cinnamon essential oil works especially great during cold and flu season as it is filled to the brim with antibacterial, antifungal, antiviral, antimicrobial, and antiseptic qualities. This essential oil works best in small doses and blended with other essential oils. Blend cinnamon essential oil with orange and tangerine to give your home a festive feel. The bright minty scent of peppermint essential oil is a great addition to a homemade cleanser as it contains antibacterial, antimicrobial, antifungal, and antiseptic properties. This refreshing essential oil not only helps maintain a clean home, but it also works as a natural pest deterrent. Blend peppermint essential oil with lemon, rosemary, eucalyptus, and lavender essential oils. Long revered for its antibacterial qualities in medicine, tea tree essential oil makes a wonderful natural cleanser. If you are undecided which essential oils to buy when making your own cleanser, tea tree oil is the cleanser to have, as it is the most powerful all-purpose cleansing essential oil that can clean your home. Loaded with antimicrobial, antiseptic, and antifungal properties, this essential oil is a natural disinfectant and antiparasitic that works hard to make sure your home is free of germs. Its spicy, warm, medicinal scent may be too much for some, so it is wise to blend it with other essential oils. Blend tea tree essential oil with lavender, eucalyptus, and pine essential oils. German chamomile is a great addition to a homemade cleanser as it is not only a natural antibacterial, antifungal, but its delicate scent blends well with other essential oils to create a clean, harmonious scent. Chamomile essential oil smells of fruits and herbs, creating a comforting and calming scent. This hardworking cleaning essential oil blends well with almost any other essential oil, so this a great scent to keep around for blends. If you are looking for some direction in blending your essential oils, German chamomile blends especially well with lemon essential oil, and other citrus and floral essential oils. Grapefruit essential oil is another wonderful way to sanitize and scent your home. This fruity, sharp, but light scented essential oil is a natural antibacterial and antiseptic, creating a clean and relaxing home. This refreshing scent is a popular choice for homemade cleansers as it brightens the home, especially during the dead of winter. READ What is Coffee Flour? Grapefruit essential oil blends beautifully with other essential oils, especially lavender and rosemary.